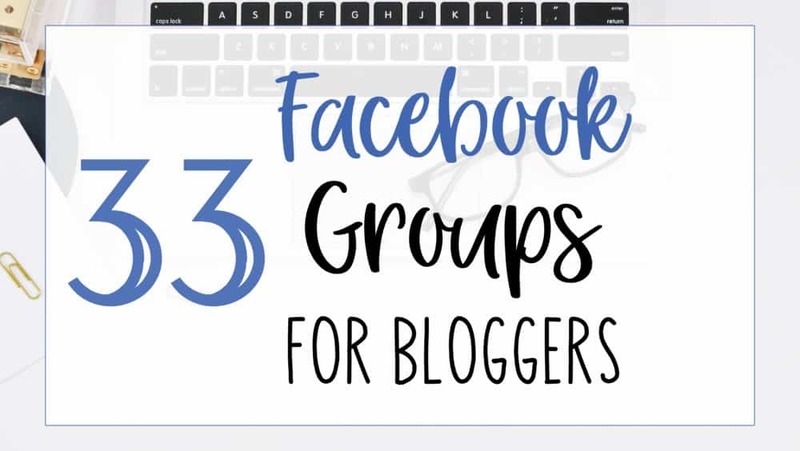 Are you a member of any Facebook Groups for Bloggers? If not you need to be! There is so much valuable information that can come from Facebook Groups. I have learned so much FREE info it’s hard to count. Facebook groups are also great for networking with other bloggers and sharing your content. I’ve curated a list of my favorites for you! Before we dive into all these wonderful groups, let me help you organize them! Join my FREE 5-Day Blog Organization Trello Bootcamp! I have a Facebook group dedicated to organized blogging! I share lots of tips and tricks for organizing and just blogging in general! I’d love for you to join us! This group was created by Carly Campbell an Elite Blog Academy grad. This is my favorite blogging group. Everyone is extremely helpful and encouraging. And there is some amazing advice in here! Kim Anderson is the founder of the podcast Just Keep Blogging (which is a great podcast by the way). Her group is incredible and she also has a paid mentored membership group! This group is wonderful! And it has a great sharing thread! This group is by Mckenzie Bean. I just love her. I took her beginner Pinterest course when I first started blogging and she left a wonderful impression on me ever since! This is a great group to ask questions and glean information from! Another great group to ask questions and glean great information! Caroline Vencil is an amazing blogger. Plus she goes live in this group with tips! If you’re ever looking for “proof of blogging concept” Jennifer Maker is your girl. I love how she shares her process and her pitfalls. And how her hard work pays off to success. She is definitely successful, but at the same time down to earth. Wonderful group. You can share your posts whenever you’d like in this group. This is a very helpful group! I placed it in this category because it has a lot of weekly sharing threads. Share posts whenever you’d like in this Facebook Group. This group has dedicated share threads. This is my favorite Christian Facebook Group! I love how helpful and encouraging this group is! Blessing Bloggers may be small but they are mighty in encouragement! This is another helpful group! This is another place to share your Christian blog posts! You can also share you Christian blog posts in this group! This is a helpful Christian Group! A great community to support mom entrepreneurs! An amazingly supportive group for mama entrepreneurs, not just bloggers. I’m always encouraged by how the women in this group are so helpful! This group has specific share threads daily. She creates incredible stock photos, and if you subscribe to her list you get free stock photos every month! Plus her group is super helpful! One of the best groups out there for Pinterest advice. Created by Kate Ahl from SimplePinMedia. Helpful group that will help you with your creative skills. One of my favorite people. I took her free graphic design course that helped me learn how to make better pins! Her course is amazing!! And so is her group! These groups don’t need much explanation. They all allow you to share your group boards and find group boards to join! Was this a whole lot of Facebook groups? No need to be overwhelmed. Let me help you organize them. I hope this was helpful! This is just a fraction of the Facebook groups for bloggers out there. Sign up below to grab my free 5-Day Blogging Organization Trello Bootcamp email course!